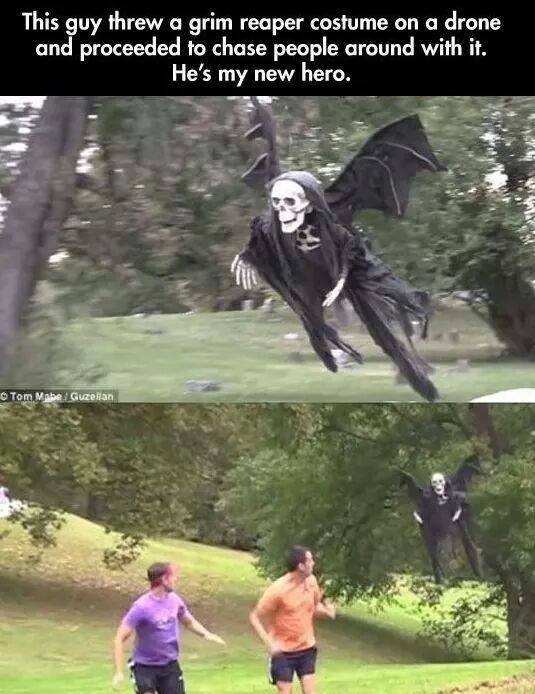 You may have seen this image of the grim reaper drone circulating Facebook lately. We have uncovered the video and the behind-the-scenes footage of how Tom Mabe pulled it off. Apparently, not just any drone is capable of lifting heavy objects, and Tom tells you where to find the drone he used in the second video clip.